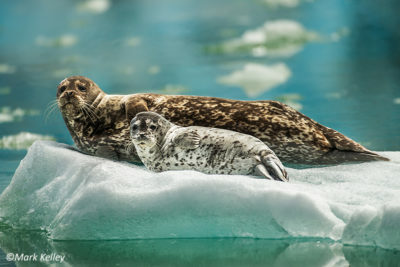 Drifting icebergs near the face of tidewater glaciers often serve as nurseries for harbor seal mothers and their pups. The ice offers a safe place for birthing their young, a place for rest and sunning, and a refuge from their main predator the orca (also known as the killer whale). 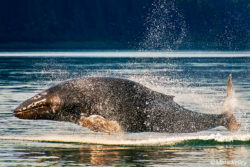 The two most important pupping grounds in Southeast Alaska are John Hopkins Inlet in Glacier Bay National Park and South Sawyer Glacier in Tracy Arm-Fords Terror National Wilderness. 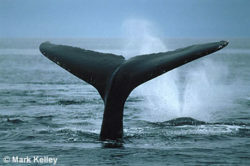 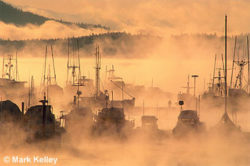 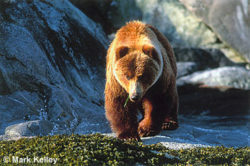 This Mark Kelley image appears in Mark’s children’s book “Once Upon Alaska”.